Brut Instinct will no doubt be a wonderful appropriate to the style. 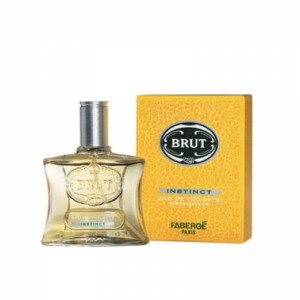 Brut Instinct 100ml. EDT is an unusual perfume from Brut, charming with its charming composition. Brut Instinct will no doubt be a wonderful appropriate to the style. Despite the delays in arranging the described spirits, in 1997 it was finally presented and became an essential attribute of some boutiques of the world. The essence of this fragrance in the head contains such chords as: sage. Tarragon and nutmeg, grouping, embody the enchanting heart of this perfumed water. The basis of Instinct was vanilla. Just like a dedicated companion, the described fragrance will protect its adherent on every journey.